With a Ram lease from Sunset Dodge Chrysler Jeep Ram FIAT in Sarasota, Florida you can get yourself behind the wheel of a brand new Ram model year after year with ease! Visit our showroom today to learn more about the stellar Ram lease deals happening now, options that'll get you into a vehicle with a more flexible monthly payment with ease. What's not to love? Ram leases typically lower down payments than the traditional auto loan, and give you the freedom to change your vehicle every few years. Hurry into Sunset Dodge Chrysler Jeep Ram FIAT today. 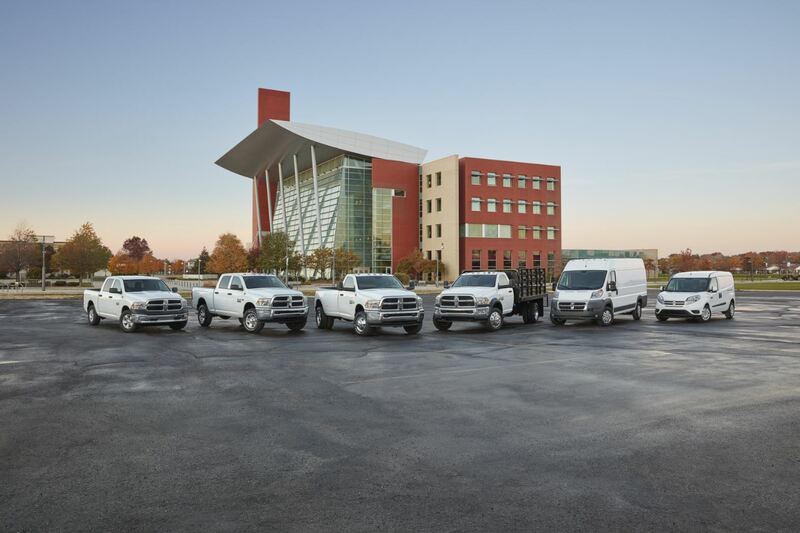 Ram pickup trucks and cargo vans set the industry standard when it comes to hard-working, reliable vehicles. At Sunset Dodge Chrysler Jeep Ram FIAT in Sarasota, FL we're proud to show what our Ram fleet has to offer. With the Ram ProMaster cargo van transport on the job or for personal needs will be a breeze thanks to a roomier cargo area and a tight turning radius that'll help you navigate even the smallest of turns. If it's an iconic pickup you're looking for, look no further than the Ram 1500, Ram 2500 and Ram 3500, each more powerful and capable than the last. Get the behind the wheel for a Ram test drive by visiting Sunset Dodge Chrysler Jeep today! Wonder how you'll pay for it all? Wonder no more! The Ram lease plans from Sunset Dodge Chrysler Jeep Ram FIAT in Sarasota, FL are buyer-friendly options that help you stay within your budget while still being able to choose from our top models. Our finance team is here to work with your trade-in value and your credit history to secure a low-rate option. And if you're interested in ownership, we can explore different Ram financing plans for you as well. Learn more about our Ram lease options today by visiting our Ram dealership in Sarasota, FL.